ALEX Toys - Do-it-Yourself Wear! BFF Cord Bracelets Just $10.80 + FREE Prime Shipping (Reg. $17)! You are here: Home / Great Deals / Amazon Deals / ALEX Toys – Do-it-Yourself Wear! BFF Cord Bracelets Just $10.80 + FREE Prime Shipping (Reg. $17)! ALEX Toys – Do-it-Yourself Wear! BFF Cord Bracelets Just $10.80 + FREE Prime Shipping (Reg. $17)! How fun! Hurry and grab this ALEX Toys – Do-it-Yourself Wear! 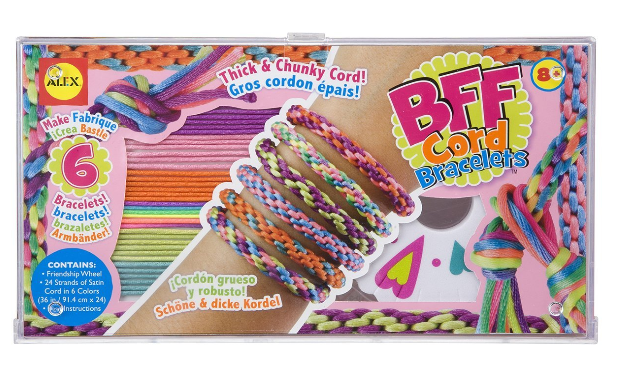 BFF Cord Bracelets for just $10.80 (Reg. $17) right now!